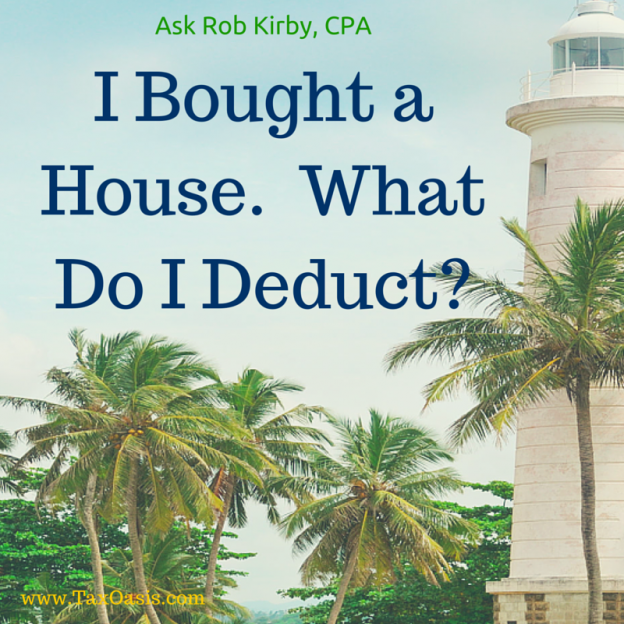 Q: I bought a house – what do I deduct? Medical Expenses– Most likely your will not qualify for a medical expense deduction because unless you are self-employed (and therefore can deduct health insurance premiums), medical expenses must exceed 10% of your income before they trigger a deduction. Health insurance premiums paid by your employer with pre-tax dollars or with HAS funds cannot be deducted – only your after-tax out-of-pocket expenses qualify. But save your cancelled checks just in case they add up to enough. Taxes – This category includes state and local income tax withheld from your paycheck, any amounts you paid the state when you filed your return last year, and any state estimated tax payments made. You also get to deduct property taxes on your home and the VLF portion of the DMV registration fee on your cars. Be sure to look on your escrow closing statement to find the amount of pro-rated property tax you were charged when you bought (or sold) your home. If your taxes are paid by a mortgage impound, deduct the amount paid by the mortgage company to the county, not the amount you paid to the mortgage company. Unique to some cities in California is a deductible 6.5% ‘utility user tax” on the PG&E bill. This tax is not a sales tax, but goes to the City so it is deductible. Interest – Your mortgage interest on your principal and one second residence is deductible here. There are some limits – if you borrowed more than $1.1 Million to buy your home or you have refinanced your home and taken out more than $100,000 in equity, you may only be able to deduct a portion of your interest. Points paid to purchase a principal residence are usually deductible in the year of purchase, but points on a re-finance must be deducted ratably over the life of the loan. Any remaining points on a previous re-finance are written off when you re-finance a second time. You also may deduct investment interest (like on a margin account) to the extent of your investment income. Charity – Cash and non-cash contributions to 501(c)(3) organizations are deductible. Make regular trips to the thrift store to build your deductions. Check the IRS Publication for record-keeping requirements. Miscellaneous – This is the catch-all category of itemized deductions. Included are unreimbursed business and investment expenses, education in your profession, and your tax-preparation fees. The instructions for Schedule A describe these deductions in detail. Only expenses in excess of 2% of income generate a deduction, but if you keep good records you will be surprised how easy it is to exceed 2%. Business expenses for self-employed individuals are claimed elsewhere, but since you are an employee and you work in internet multimedia, you should be able to reasonably deduct some of your home computer expenses, internet access, purchases of software, CDs, and DVDs, and attendance at concerts and movies. You may also qualify for office-in-home deductions if you maintain the office for the convenience of your employer. Home Improvements – Alas, except possibly as medical expenses, home improvements are not tax-deductible. They do, however, add to the basis of your home. 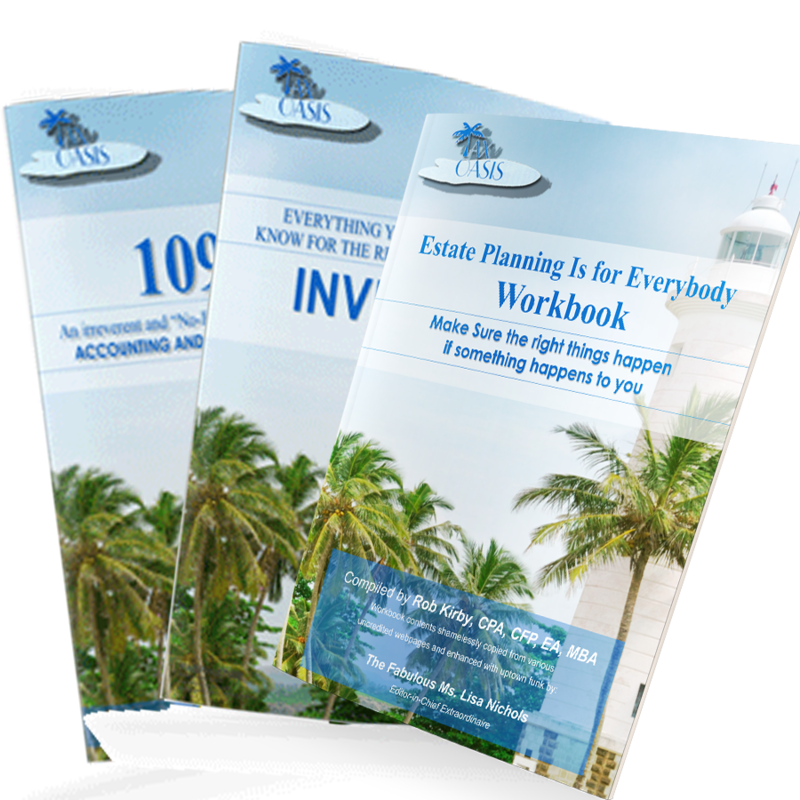 The basis is used to calculate your capital gain when you sell your house. You are entitled to an exclusion of capital gain up to $250,000 per person provided you meet certain requirements, but anything over that would be subject to tax, so it is best to save your receipts for home improvements until 3 years after you sell your house. Congratulations on your new tax-deduction. Now how about some grandchildren? This entry was posted in Ask Rob Kirby, Blog, Taxes and tagged #financialhealth, Advice, Mortgage, New home taxes, Santa Rosa tax services on September 2, 2015 by c06578806.